← you guys. when did this pool happen? Prada Marfa is one thing. It’s an art. 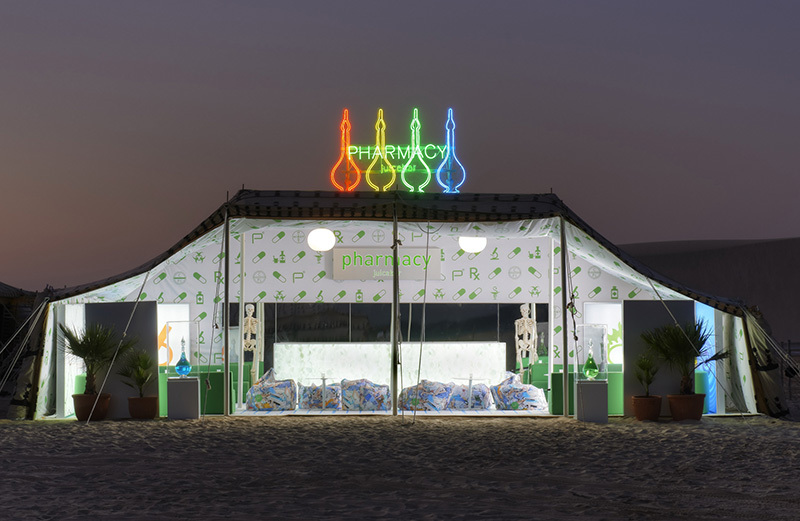 Prada tent things in Qatar w Damien Hirst is another thing.it’s like a post, post anti modernism warholian abortion with like juice cleansing and impractical shoes. The charm of a pop up actually being a tent is quaint, I guess, if you’re still into pop ups. 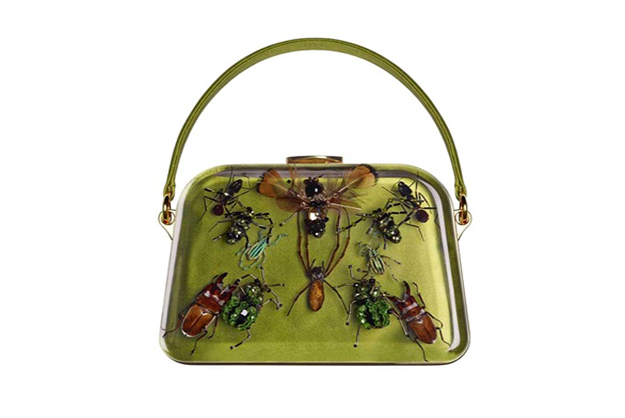 The thing is, I dislike Damien Hirst lots but I sort of love Prada. However as far as purses go, these purses went. they are not half bad. I’m into carrying these arizona truck store stop larvae in a lollipop purses. However, this continues the disturbing fashion trend of making a wacky limited edition object and shielding behind giving all the proceeds to charity so people can’t roll their eyes at your stuff. uncool guys. It’s important to take accountability for your purse. After the Jump, ten artist we would rather see collaborate with Prada! Just kidding. I can think of no greater horror than like a jeff koons balloon animal hobo bag. Nevermind ,I kind of want that right now. Look, I’m making a point here. Remember those depressing Murakami Louis Vuitton atrocities that maybe I also wanted but it was still sort of lame? I think I’m against high art high fashion combos in general. I mean, if your’e gonna poop out a purse collab why not delight in the wacky? It’s like a lesson you learn from you tube videos. Human playing with cat is lame. Cat playing with bird is cool? elephant playing with dog is awesome. Lion reuniting with human caretakers and hugging them is superb. unlikely friends is what makes for sympatico combos. What we need here is a taco bell prada purse. Link | This entry was posted in Uncategorized and tagged art, damien hirst, fashion, Glamping, Prada, Qatar. Bookmark the permalink.